Massive underground maneuvers by the leadership of the All Progressives Congress (APC) and top presidential aides to galvanise support for a second term for President Muhammadu Buhari have provided a headstart for the ruling party. While other political parties, particularly the main opposition platform, the Peoples Democratic Party (PDP), are still trying to get their acts together on how to navigate Nigeria’s political terrain to emerge victorious in next year’s general elections, the ruling All Progressives Congress (APC) seems to have gone beyond the planning stage. 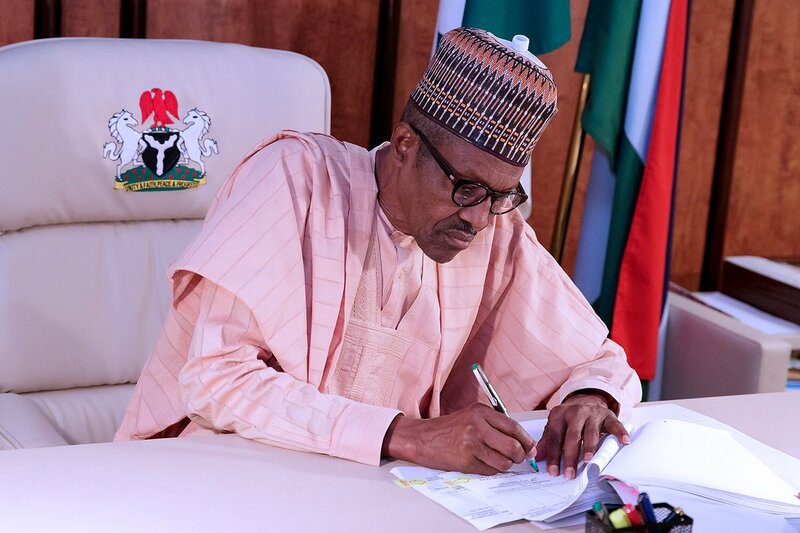 The APC, according to feelers from within the party, has concluded arrangement to present President Muhammadu Buhari for reelection while efforts to make the plan successful were already going on among the party leadership across the states of the federation. Although, the date of the primary election that would produce the party’s presidential candidate has not been fixed, competent sources within the APC revealed that the leadership has zeroed on Buhari and that the entire party structure were being tailored towards realizing the emergence of the incumbent as the flag bearer in the presidential election. A silent intra-party movement has already begun and a minister in Buhari’s cabinet who handled his campaign efforts in the last election has been contacted to repeat the feat while a top team of political strategists saddled with identifying obstacles and charting courses around them, has been put in place. 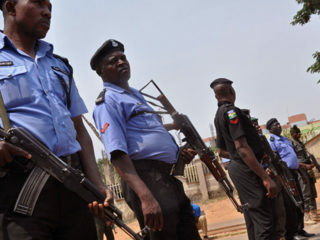 And if the allegation by the PDP that the controversial request by the Federal Government for $1 billion from the Excess Crude Account (ECA) to tackle insecurity was a ploy by the ruling party to get funding to prosecute the next election as the opposition party had been accused of doing is true, then the problem of raising money for the reelection project has been solved. Many pro-Buhari groups, suspected to be receiving funding from the presidency through fronts, have also been established or resuscitated across the country. At the last count, sources said the number of the support groups had risen to 180. In fact, many top chieftains of the APC who have formed a group known as the ‘Buharists’ have commenced open campaigns for the president and the group, made up of governors, ministers and other chieftains, was very visible during the National Executive Council (NEC) and caucus meetings of the party held in Abuja last year. Prominent members of the group, Senator Abu Ibrahim and Senate Leader, Ahmed Lawan have insisted that it is only Buhari that has the capacity to take Nigeria out of the woods. Speaking after a meeting with the president last year, Ibrahim said the group was already holding meetings with stakeholders on how to ensure Buhari’s reelection by mobilizing support for him within the APC and across Nigeria. According to the lawmaker, the group believed in President Buhari’s philosophy and his capacity to solve the myriad of problems facing the nation as well as facilitate stability, prosperity and progress of the country. In the view of Lawan, the APC with Buhari as the president should be given another opportunity beyond 2019 to complete all that have been started, particularly in the areas of tackling insecurity, anti-corruption fight and the efforts to revitalize the nation’s economy. Last September, Kaduna State governor, Nasir El-Rufai who described himself as a “core Buharist,” stated that many of his colleague governors and ministers were already working behind the scene to ensure the president’s reelection. Sources said the choice of Buhari was mainly influenced by the massive cult-like followership that the president still enjoys in the northern part of the country particularly in the Northwest, the zone with the largest concentration of voters. The same reason, coupled with his famed resilience, legendary Spartan lifestyle and anti-corruption stance, informed the choice of the retired general in the buildup to the 2015 elections when he faced more formidable and deep-pocketed politicians in the APC. 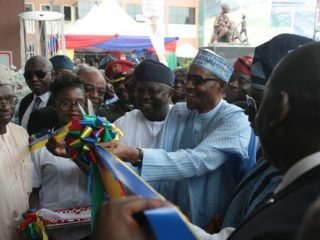 While most of those who flock around the corridor of power in the Buhari presidency would want the status quo to be maintained for them to be politically relevant, many of the supporters are genuinely convinced that the president has put the country on a recovery path and that only a second term tenure would ensure a consolidation of the gains of the last two years. According to this group, there is actually no alternative to Buhari in the current circumstances since the PDP, which has the capacity to return to power has been thoroughly discredited because of mind-boggling revelations of graft when the party was in power. But with the growing unpopularity of the APC caused by the seeming inability of the party to deliver on its pre-election promises, inside sources revealed that various strategies are being proposed to ensure a second term for Buhari. It was learnt that one of the strategies is to maintain the party’s hold in its areas of strength like the northern region and the Southwest zone and to penetrate the hostile territories of Southeast and South-South where the party failed woefully in the last election and where opposition to the government is stiffest. Because of this, the Southwest is specially being targeted but the APC seems to have a problem with the mainstream leadership of the zone, which is suspected to be aggrieved after being shabbily treated following its provision of the major platform that ensured victory for the party in 2015. Besides the zone boasts of perhaps the most informed voter population in the country and will not likely follow the bandwagon but treat political issues and persons on their merits. Already the issues in contention, which have actually eroded the support base of the party in the zone, revolve around the lingering economic hardship in the country, inability of the APC government to tackle some glaring fundamental security problems like the armed herdsmen menace, alleged high graft within the president’s cabinet and the inexplicable hard stance of Buhari against restructuring of the federation. But the thinking is that if the right politics is played, the APC would maintain its hold on the zone. And in playing the right politics, certain politically powerful individuals are being targeted, through outright invitation and subtle encouragement, to strengthen Buhari’s capacity to win the zone where two governorship elections, that of Ekiti and Osun will hold this year. In Oyo State former governor, Christopher Alao-Akala, his former Deputy, Hazeem Gbolarumi and PDP’s candidate in the last election, Teslim Folarin, have crossed over to the APC. With their defection, the PDP may have been reduced to a shell as they, with their supporters, were the ones holding the party together. In Ondo State, Chief Olusola Oke, who got the nod of the leadership of the APC in the Southwest to fly the flag of the Alliance for Democracy (AD) as a protest against the emergence of incumbent governor Rotimi Akeredolu, allegedly imposed by the anti-Tinubu elements against the interest of the strongman of Lagos politics, is said to be on his way back to the party. 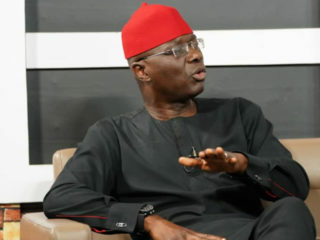 Top sources within the party said Oke, a foundation member of the PDP who was eased out when former governor Olusegun Mimiko joined the party and who was on his way back to the platform, was persuaded to drop the idea of returning to the PDP and rejoin the APC with the Senatorial ticket of the party in the southern district of the state to the bargain. The return of Oke is to boost the chances of Buhari’s reelection following alleged non-performance of Akeredolu, which many top party leaders have warned might lead to the president losing a state he won in 2015. In Lagos State, a major pillar of the PDP and former Defence Minister, Musiliu Obanikoro, who allegedly has a burden of graft allegations to discharge, has found his way into the APC thereby significantly reducing the strength of a party that actually gave the ruling party a run for its money in the state during the last election. However sources said die-hard Buhari supporters in the top echelon of the party leadership had initially proposed outright adoption of the president as the sole candidate but the proposal was rejected because it would create a situation where those against the idea would move out of the party en mass. The idea was also rejected because it would erase any pretense of a democrat in Buhari and present the APC, which prides itself as a progressive platform that promotes internal democracy, as a party that stifles political ambition of its members through undemocratic means. Besides, Buhari who many believe was initially not keen about reelection but was only persuaded by some very senior aides who have become so powerful in his government and sometimes take far-reaching decisions that often portray the president as a weakling, is said to be averse to the idea of imposition. The position of some notable leaders of the party especially in the South against outright adoption may also be responsible for the Buharists to forgo the idea. The duo of former Lagos governor and national leader of the party, Asiwaju Bola Tinubu and Imo governor, Rochas Okorocha, have publicly declared that the president will not get automatic ticket of the APC. An attempt to make the NEC of the party pass a vote of confidence on Buhari as a prelude to his sole adoption was rejected at the first major meeting of the body on the ground that there was no need to take a decision that was not in the agenda. It was however agreed that a “narrowed primary election” that would have Buhari and some weak presidential aspirants be organized to create an atmosphere of democracy while strong aspirants that have the capacity and the reach to rock the boat would have been pushed out of the race. The return of former Vice President Atiku Abubakar to the PDP was said to be as a result of his awareness of the plan which the Adamawa politician, who himself knows the almost limitless power of a sitting president to manipulate party machinery to advantage. But unlike former President Goodluck Jonathan, under whose leadership and presidency the PDP employed the strategy of “narrowed primary” to give him advantage, and which resulted in the party being balkanized along regional lines, the Buhari handlers are planning to prevent any backlash that could cause a crack in the wall. That is why Buhari who hitherto had been showing very little interest in party affairs, leading to alienation of many of those who created the platform and the funding for his emergence in 2015, is now reaching out in a new politics of rapprochement. Among those pillars being freshly courted, apart from Tinubu, are many party leaders and stalwarts across the states that have been abandoned by the leadership of a party and government they put in place. In the last week of last year, hundreds of chieftains were announced as chairmen and board members of government agencies, an action that was supposed to have been carried out at the beginning of the administration in 2015 but which is now aimed at securing maximum support for the president’s reelection. But despite this elaborate plan, a silent but cautious opposition is gradually growing within the party against Buhari but those behind this are in a dilemma of who to pick as a replacement from the North. Members of this group are said to be directing their radar to the Northeast but certain elements within the party are insisting that the presidency must remain in the Northwest where a sitting governor is said to be preparing to declare his intention to run. Besides, the mainstream Southwest leadership, aware of the role it played for the 2015 Buhari victory and how strategic it is for a repeat performance, is said to be demanding for a concrete commitment before full support can be provided this time around despite the fresh rapprochement from the presidency.